Whether a homeowner is selling now or wants to enjoy updates for a few years, smart on-trend solutions will add value and make a home more attractive to future buyers. 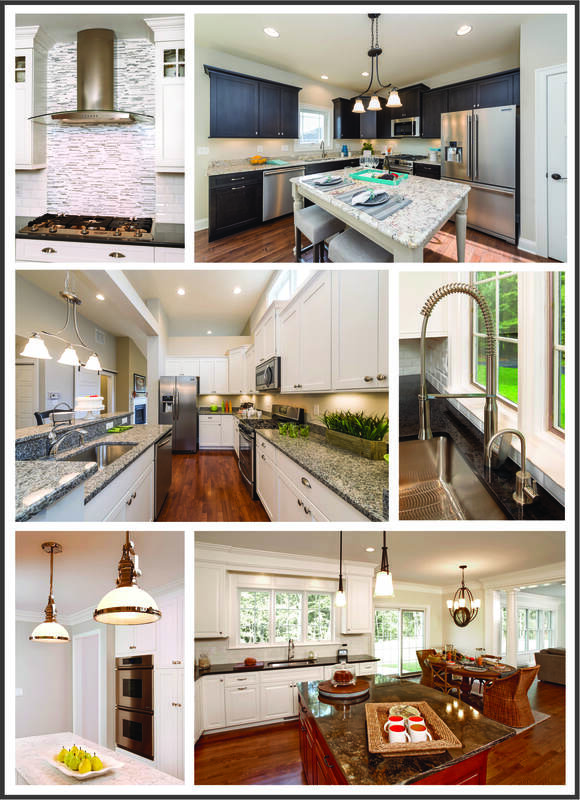 The collage below features elements from several kitchens we decorated/remodeled along with a list of some of the latest trends in kitchen design for 2016 that we hope will help inspire you to get started planning your dream kitchen. 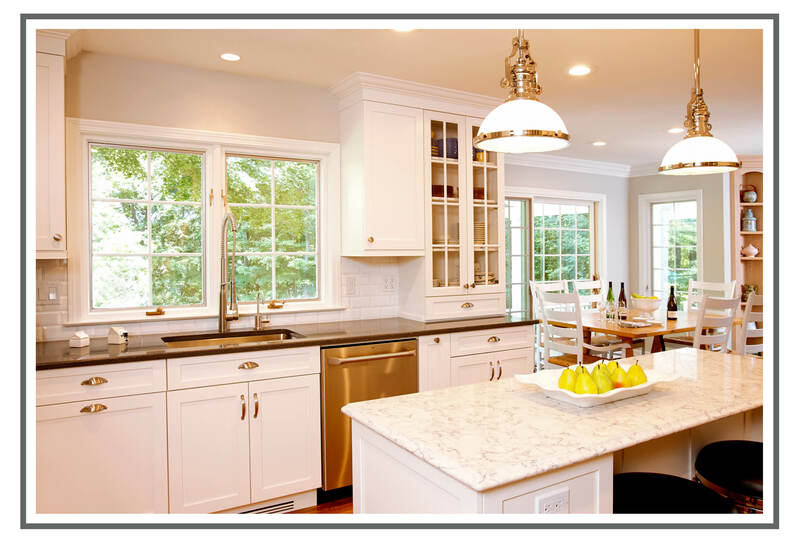 Kitchens are fading into the backdrop as open layouts infuse more seamlessly into the living room or dining room. 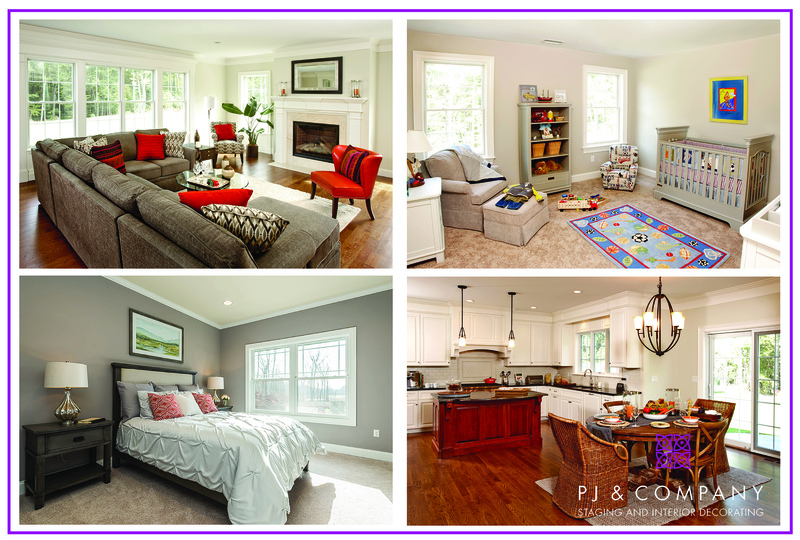 The result is a unified, multi-functional space that is perfect for a relaxed lifestyle as well as entertaining. 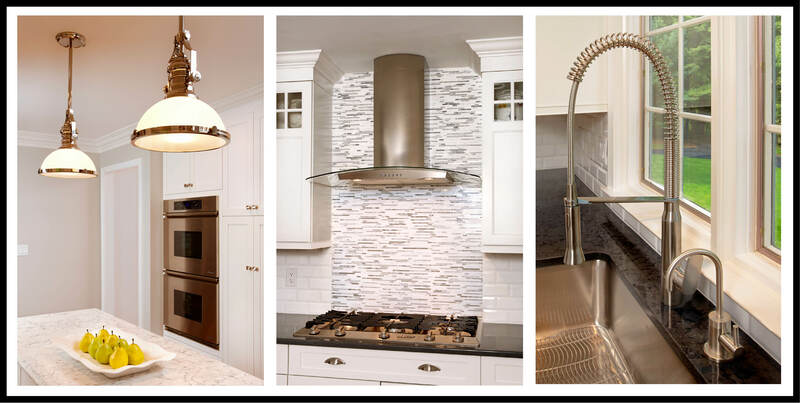 While stainless steel finishes continue to be popular in accents such as faucets, pendant lights and cabinet hardware, this trend takes it one step further by using metal range hoods as a focal point either over the stove or a central island. They also provide a beautiful contrast to surrounding materials. This trend is about more than just adding workspace in the kitchen – its a perfect solution for more storage, charging stations for gadgets, prep sinks, as well as another casual dining area. Although white motifs continue to dominate, designers are adding touches of soft, pastel color in tiles, shelving and other accents. Also using variations of gray, muted blue and green and tinted whites for walls and cabinets are new alternatives to standard white. The more options for layering kitchen lighting the better. 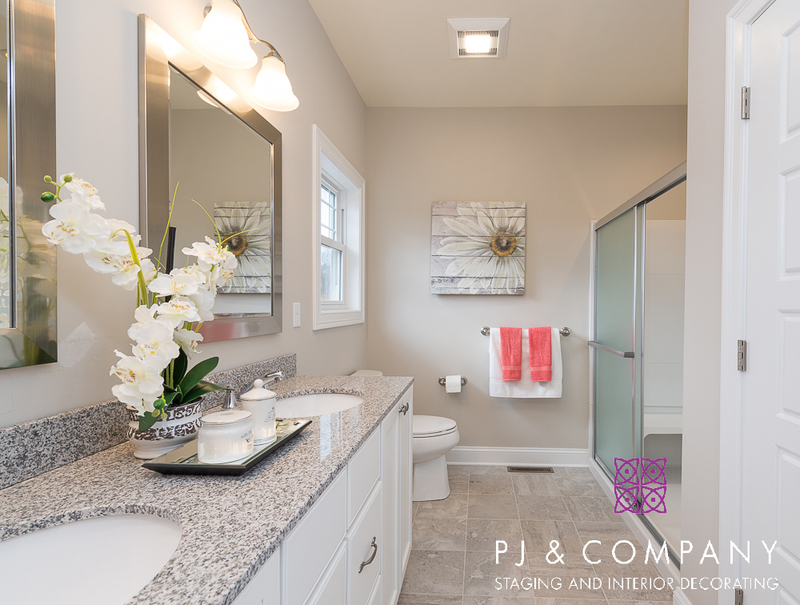 LED and low voltage light strips placed above, below and inside cabinets pair well with ceiling fixtures to provide more ways to set the right mood.